You are here: Home / Environment & Conservation / Doyle: "God help us"
Governor Doyle is appealing to a “higher authority” today when it comes to spring flooding. With spring rains already causing flooding concerns across southern Wisconsin, the governor says he&apos;s watching the situation closely. Speaking this morning to a statewide conference on emergency management, Doyle said “God help us” that the flooding isn&apos;t as bad as last year. 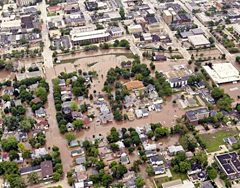 Doyle says last year&apos;s record flooding in southern Wisconsin gave emergency management personnel valuable experience, so they are more prepared if there&apos;s a repeat of the devastation this spring. Doyle also responded to complaints from residents around Crystal and Fish Lake in northwestern Dane County, who are upset that the DNR hasn&apos;t acted quickly enough to allow water to drain into the Wisconsin River. The governor says he has asked staff to look into the issue, and it is a situation they are watching.